The days are longer, the weather is getting warmer and even when it snows, we are all itching for spring! Trees are beginning to blossom, daffodils are blooming and asparagus is sprouting. And you want to get your hands in the soil. 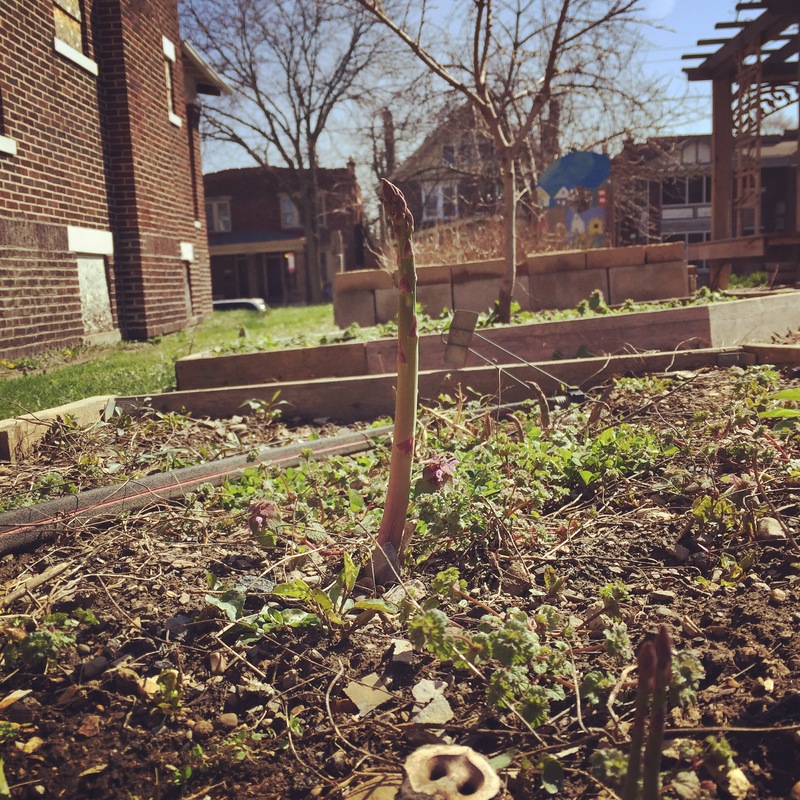 We welcome your involvement in one of Weinland Park’s leading community gardens. 4th Street Farms is a free farm open to all where Give Time. Get Food! is 24/7. Many hands make light the work and even a few minutes of time here and there can make a difference. or add more volunteer dates for you, your family or group! Tools can sometimes be found in the garden, you can bring your own, or contact us to borrow the community tools. So, join the volunteer group or follow us on Facebook, Twitter & Instagram to get more involved. Appreciate whatever you can do!